Search engine optimization for recruiters is a lead generation method that can lead to exponential growth for your recruiting business. 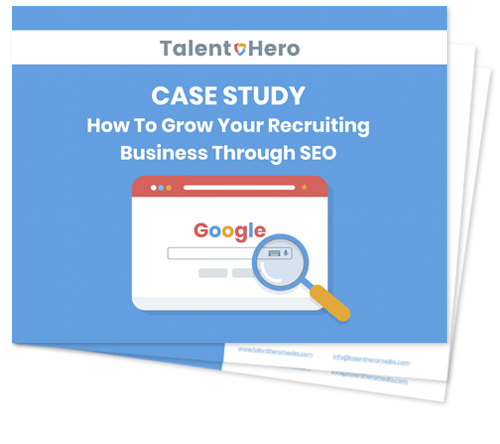 When a prospective customer came to Talent Hero asking how she could grow her business on a limited budget, we quickly decided that SEO was her best option. By following our carefully crafted plan, this recruiting company was able to turn an empty pipeline into one new client per month, doubling her revenue in only 6 months. Do you want to learn what she did? Download our case study on growing your business through SEO and discover our secrets.